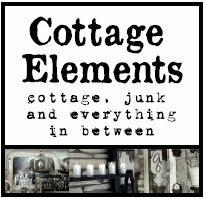 Cottage Elements: An En-Lightening Project that's Music to My Ears! 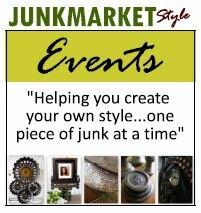 As some of you may know, I'm a Contributor on the JunkMarketStyle.com website. This last month Sue Whitney of JMS decided to have a Contributors Challenge. 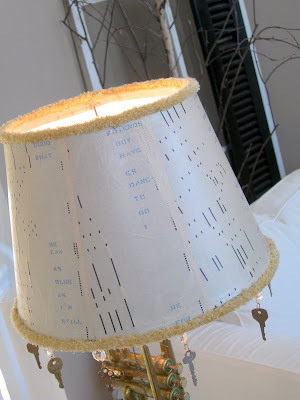 She sent each one of us a vintage player piano roll and we were challenged to create something with it. There were some awesome projects, and you'll have to check them out. This is the project I came up with. 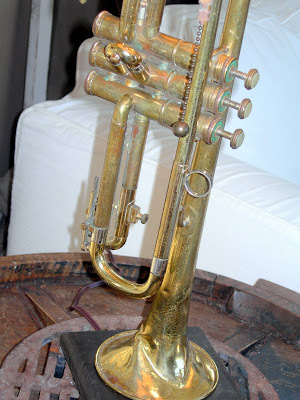 I purchased this trumpet quite awhile a go, intending to make it into a lamp. I thought this was the perfect project for it! 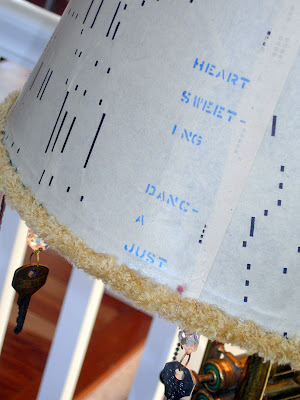 I knew I wanted to use the paper from the piano roll to decopage onto the shade. The problem was I couldn't find a barrel shade that would be easy to just wrap the paper around it. I ended up cutting them down in strips. At the top and bottom of the shade I found the perfect ribbon for it and simply hot glued it on. I think it gives it really a vintage feel. 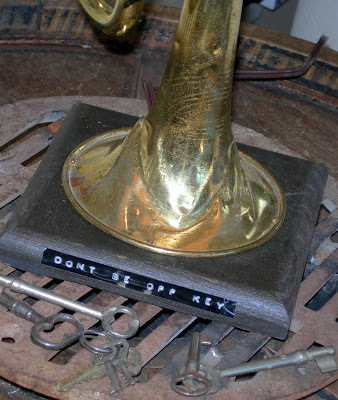 I then added the crystal and keys to the bottom. mean to blow my own horn! read it from bottom to top! blue as can be!" I love the silly words to this song. So beautifully neutral! It could go with anything. Thanks for the creative inspiration! Hey, you're back! 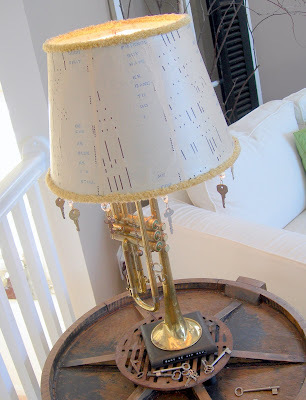 Lovely lamp! Isn't it fun to do something lke that? 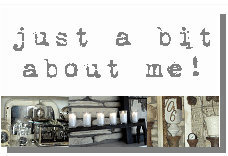 I especially like the phrase on the base.... cute! Thanks for stopping by Star's Fault to visit! That would be a great gift to someone who plays the trumpet. It's really a honor as a trumpet player to have a lamp like that. You always come out with the best and most unique ideas.